This intense treatment provides your skin with a complete skincare. 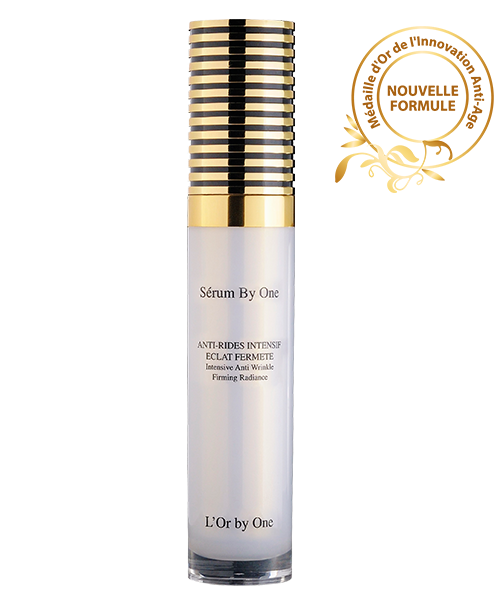 This serum acts effectively against deep wrinkles and improves firmness. The texture of your skin will become more even, your complexion smooth and luminous, and the shape of your face will be redesigned. - Thanks to the powerful association of the two principal active ingredients, patented BNF/A and Hyaluronic Acid, Sérum By One stimulates cellular memory and accelerates the speed of skin tissue regeneration. - Hyaluronic Acid, a natural element of the dermis, plays a major role in the hydration and elasticity of the skin. It is able to retain a volume of water that is more than 1000 times greater than its own mass. Apply every morning or evening on clean, toned skin (face and neck) on its own or before: The Lux One Day, The Lux One Night and Hydralift. Do not use on the skin around the eyes or on the eyelids.